The majority of visitors would be mobile so a responsive web design was mandatory. 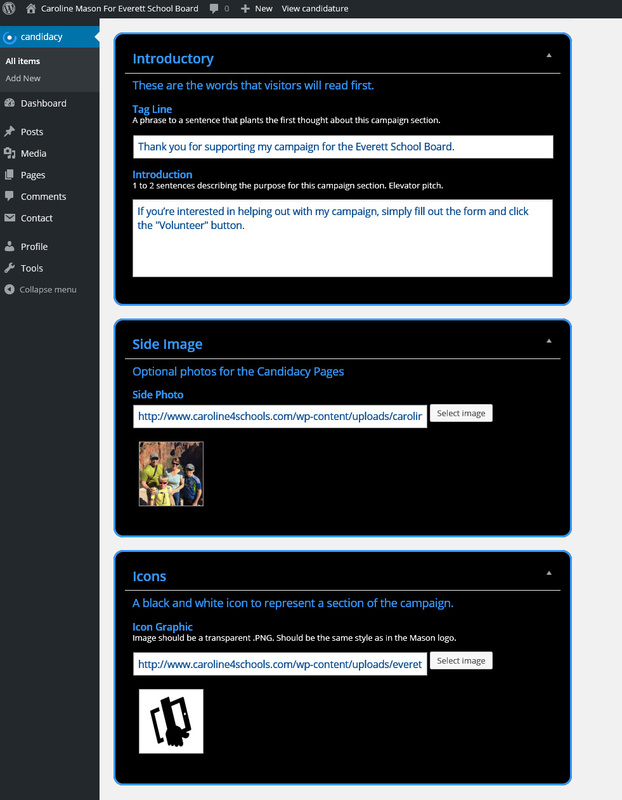 The web design used the design language from the bold political yard signs and logo. Caroline Mason wanted a responsive WordPress website with optimal viewing and interaction experience across a wide range of devices (from desktop computer monitors to mobile phones). Webvisuals has worked with Caroline and her company Motion Marketing for a number of years. 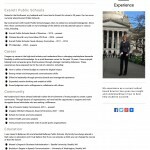 We collaborated on Everett Bone & Joint, Gamut 360 and IRG websites. 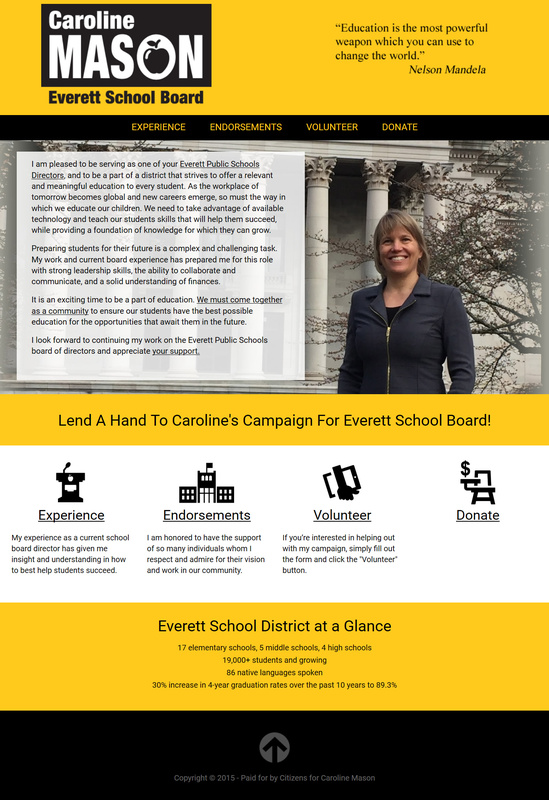 Caroline wanted to run a campaign to retain her seat on the Everett School Board and naturally she needed a website to kick it off. Caroline’s campaign branding started with bold and bright yellow and black campaign yard signs. The colors reminded our Creative Director of the side of a school bus so that was the inspiration for the web design. We really liked the clean, silhouette style of the Apple icon in her logo and played off of that to come up with similar, school icons representing the key facets of her website. 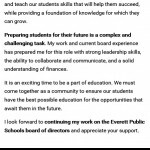 A good portion of the website traffic will be drawn by the political signage that are seen around the Everett School District neighborhoods, hence the majority would be mobile phone users. We needed a responsive web design to reach folks when they used their smart phones to pull up Caroline’s political website. 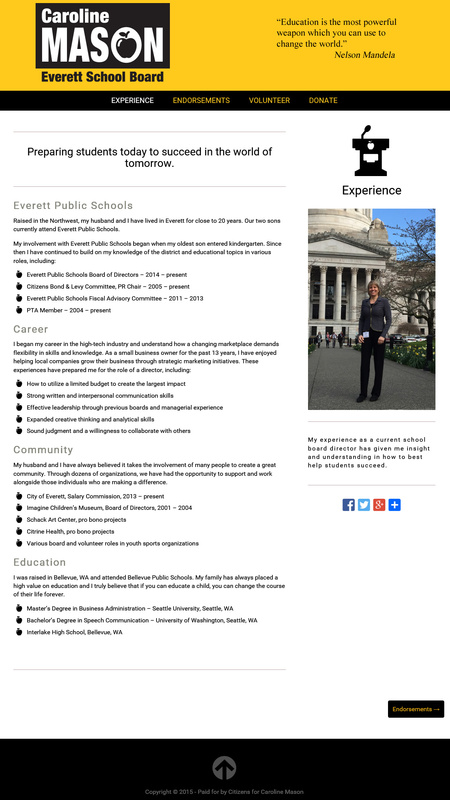 Webvisuals designed and coded a five page responsive website that hit all the important points of her candidacy. 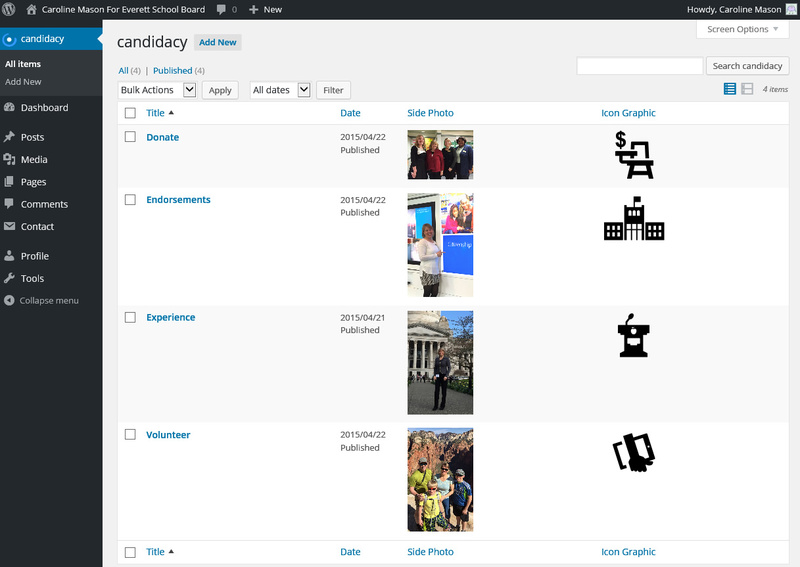 Fast loading images automatically re-sized for mobile devices and big button designs made it easy for the user to find information and get in touch. 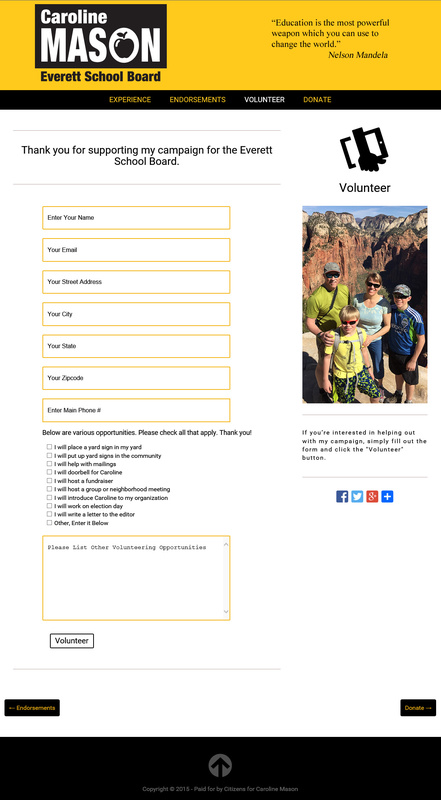 Caroline wanted to be able to quickly update her website. 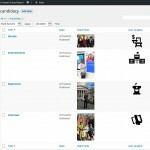 We added a button to her WordPress main navigation menu called Candidacy. This was her control center to easily keep track of imagery and update what she wanted to say for each section of her WordPress website. 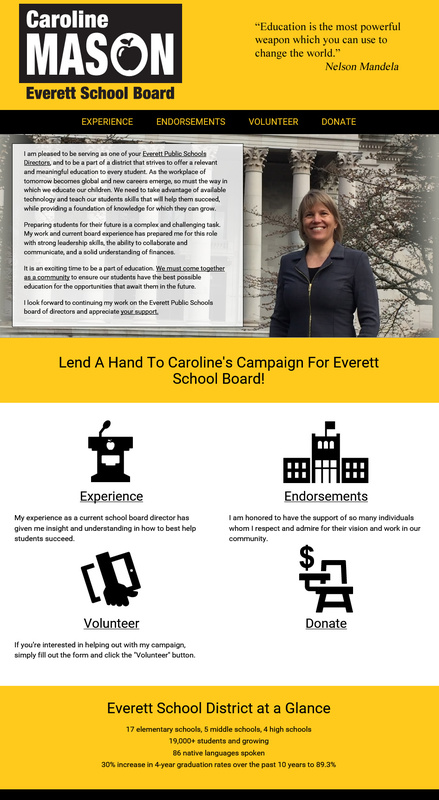 With the launch of Caroline4schools.com Everett School District residents can now learn about Caroline, her experience, endorsments and how they can help her get elected. 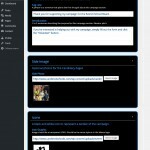 Thanks for the WordPress instruction yesterday. I'm excited how my website is coming along and looking forward to having it live. 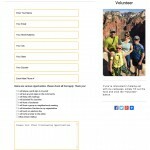 ← WordPress 1-Pager For WA Recycling Co.